Two weeks ago I read this article on Quill & Pad where the team went into detail about what they would do if they became CEO of Zenith. It was a entertaining article that got me thinking about other brands, specifically TAG Heuer. I've been critical of them in the past so I thought what would I do if I were in charge? Yes, even these plans I wouldn't change for the sake of a stable brand identity. Photo courtesy of TAG Heuer. One of my main complaints about TAG Heuer is the constant changing of brand identity. Us in the watch community have an understanding of what TAG are but an average Joe or Jane might struggle. I want everyone to know what TAG Heuer is about. 2. Cut the fat and Re-organize. It's been amazing two years with me as TAG Heuer CEO. The brand has seen unprecedented growth and I have awarded myself with a large bonus as reward. Now that the brand identity has been stable over the past years, I'm now able to trim the collections down to references I know the market likes. Without question I'd immediately drop the Men's Link collection. The watches have never worked for me and as CEO I can do what I want. Links be gone! I'm also cutting the number of watches in the Formula ,Aquaracer and Carrera collection. I'm talking 20 references at most per collection. There are currently 52 Formula 1s, 78 Aquaracers and a staggering 116 Carreras. That is too much choice for consumers to wrap their heads around. The half ceramic and half steel watches in all collection are gone, along with any gold plated watches. All the Heuer 01 and Heuer 02s will be moved into a new collection called "Innovation". These watches don't look or feel like what a Carrera is and it makes more sense to seperate them. The Carrera collection now consists of classic driving chronographs and a handful of time-only pieces. A new collection imaginatively called 'Heritage' will be created which will focus on heritage re-editions. These two drastically different watches are in the same collection. Not on my watch! Now that there is a sensible amount of references, it's time to distinguish each collection from each other. The prices of watches will stay in line with the current TAG Heuer collection (I'll let Francois and Thierry in accounting take care of the details), the focus here is making each collection serve a singular purpose. The Formula 1 collection will be the entry level sports watch, much like the Professional series before it. The focus will be on quartz time only watches and quartz chronographs. The new F1 style of the barrel case and larger 12 hour markers will remain, and all pieces will have the red and green TAG Heuer Logo. The Aquaracer Collection is the next step up in the TAG Heuer watch hierarchy. With only automatic Aquaracers available, they will be marketed as the budget equivalent of a Rolex Submariner. The new Aquaracer style case will remain, as will the ceramic bezel and applied stencil logo, but every watch will have a sapphire crystal back to display the movements. This makes a great unique selling point for sales assistants upselling customers from the Formula 1 to the Aquaracer. The Carrera name will again be synonymous with classic driving watches and will the flagship collection. Bastien and his design team will have a lot of work to do as most the Carrera collection did not survive my culling. I'm looking for more modern and stylish watches like the Jack Heuer 81 Chronometer and Caliber 36 Flyback. The development of all watches under the Innovation collection will be directed by Mr. Jean-Claude Biver. He's allowed to design whatever he wants but he's forbidden from making any press conferences under my tenure. He will be given free reign to design whatever style of watches he would like in the Innovation Collection, but all celebrity endorsements and ambassador deals must be approved by me. More watches like this please. Photo courtesy of TAG Heuer. Now there a solid design brief for the Formula 1, Aquaracer, Carrera and Innovation lines, we can begin to expand the heritage line. 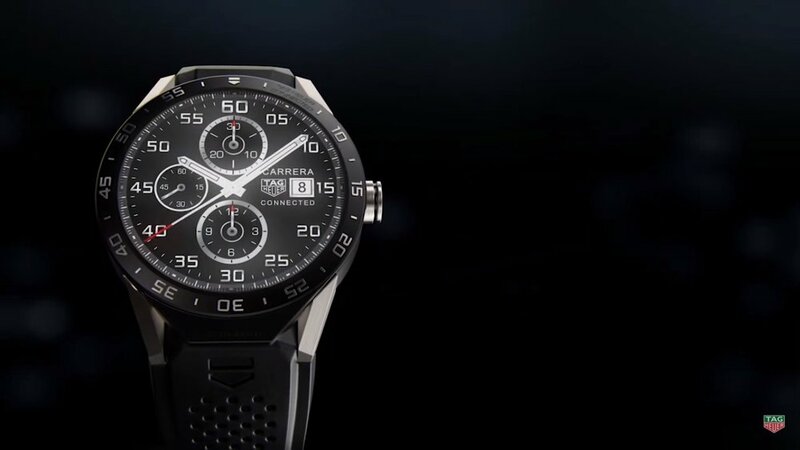 The Longines Heritage Collection is going to be our model here but we're going to do it better, because TAG Heuer doesn't crack under pressure. Our designers have the easiest job here as we'll be sticking directly to the original designs. No date window on the original means no date window in the modern re-edition. 39mm case in 1969 means a 39mm case in 2017. Easy peasy. This goes the same for the movements as well, so we're going to have to find a reliable manual wind chronograph movement. Hodinkee have proven with the Zenith x Hodinkee chronograph that there is a market for these kinds of watches at a higher price. The margins will be thinner but we'll get a lot of cred on the forums for giving fans of the brand something that they want. Hell, I'll give Jeff Stein a big salary to come onboard as an advisor who can pick which the next years releases. This is going to come as a shock to you but I won't be focusing on the development of in-house movements. Unlike Zenith, the history of TAG Heuer is not about creating high end, in-house movements. A Valjoux 72 was good enough for 1969 and ETA movements are good enough for 2017. In the LVMH hierarchy, TAG Heuer is at the bottom level below Zenith. Why split the market for a $5000-$1000 in-house chronographs between two brands under the same company? I won't stop production of the Heuer-01/02 but I'll restrict their use to the Innovation line. I want the three collections (Formula 1, Aquaracer and Carrera) to form the foundation of the brand and I want them to be affordable. That's not possible when they have an in-house movement inside. Unfortunately, the former CEO won't let me get rid of this one. Photo courtesy of TAG Heuer. Sigh. There is little chance that Mr. Biver, who is somehow my subordinate and my boss in this hypothetical scenario, will allow the complete capitulation of the Connected Watch. I believe it to be an ill-fated endeavour but Mr. Biver has managed to get both Intel & Google to don cowbells and it would be foolish to ignore their strengths completely. Right away, I would stop that asinine trade-in policy. Its misguided attempt to make more money on a product that is unconnected to eternity. It is greedy to charge $1500 for a watch and then 3 years 'offer' them another watch for an extra $1500. Any mention of the phrase 'Connected to Eternity' would be met with a trip to the bottom of Lake Geneva. My first step is to shrink the gargantuan 46mm case down to something more wearable. How about a 40mm mens and a 36mm ladies? I'll get my Google partners to increase the PPI of the watch (currently 240) to match that of the Apple Watch 2 (326). If I'm asking customers to shell out $1500 for a piece of technology that will be obsolete in 3 years, then they better be getting something good. By incorporating a heart rate sensor and a GPS tracker, this expensive dongle is now technologically comparable to smartwatches less than half its price. I'll also include a digital library of over 100 of the best TAG Heuer and Heuer dials from the past 50 years. Fancy a Solunar dial on Sundays? Done. A Monza for Mondays? I've got you covered. Restricting choice on a digital medium is madness and this is an easy win for us. We also have a way of monitoring our customers favorite vintage designs which might come handy when we plan our next heritage watch. All this without increasing the price. Thankfully I've made TAG Heuer an immensely profitable company so we can afford to take a loss on this pet project of the former CEO. What would you do differently as the CEO of TAG Heuer? Ditch all the mechanical pieces altogether and only make smartwatches? Let me know in the comments below!